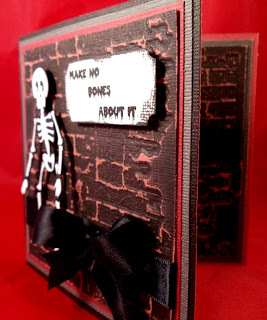 one of my favorite Halloween cards that I made. 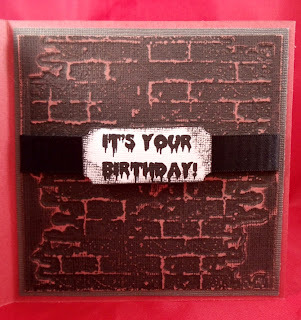 Only...it was really a Birthday card. for Jenny aka Crazy About Cricut! 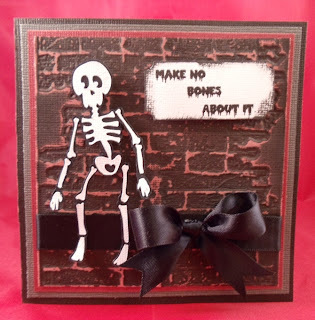 Love the black bow...Good job.. 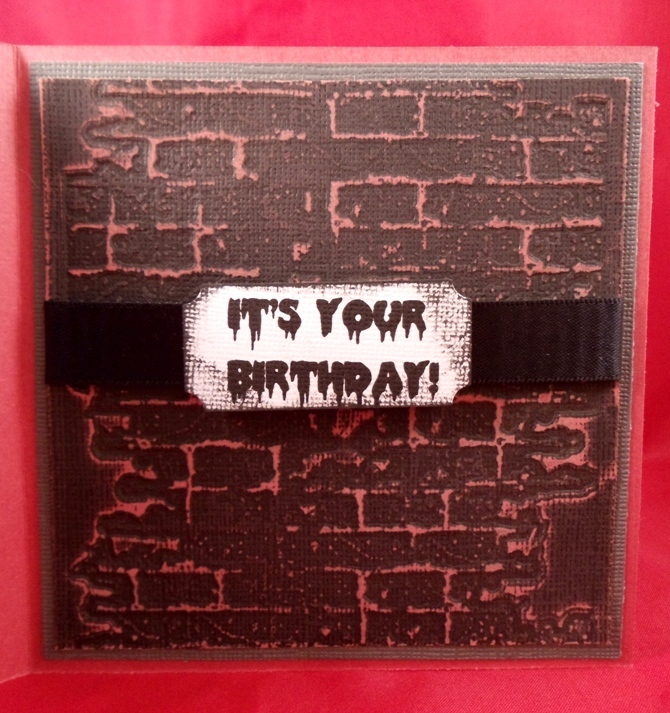 I think this card is cute as can be! Thanks for sharing! 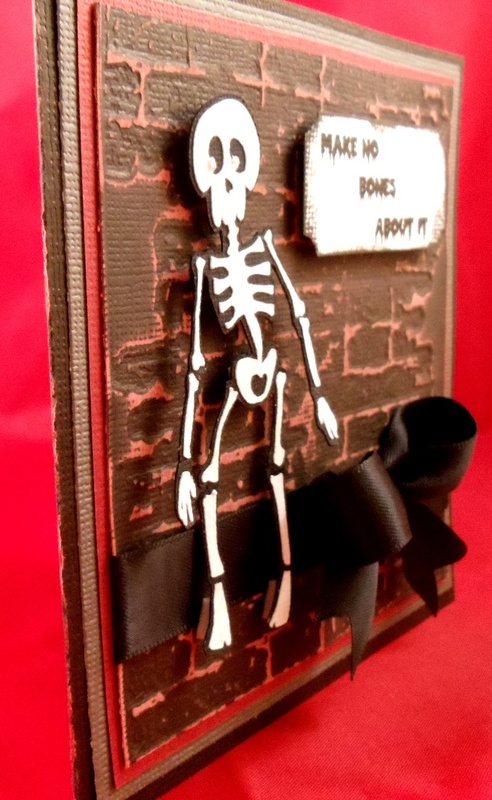 What a creepy-cool card! 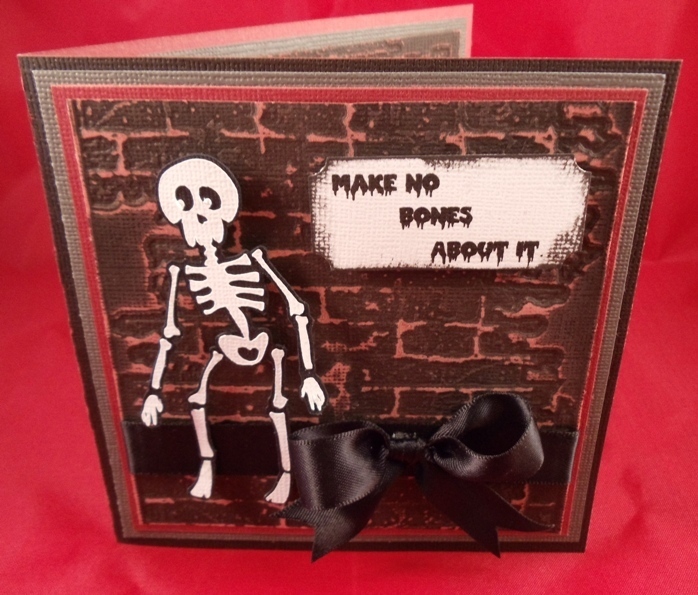 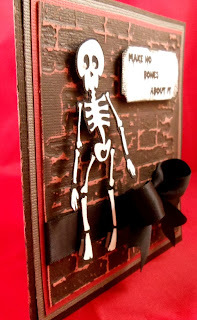 Love that "brick" background and the skeleton is really cute in a spooky kinda way!